The Margaret 0. Bynum Scholarship Fund is established to provide financial assistance to teachers of gifted children for additional professional development. Recipients must hold the gifted endorsement and are expected to provide service(s) to gifted students in Georgia for one school year after receiving the scholarship. Applicants must be a member of GAGC. C. Provide examples of good leadership strategies learned from experience and gifted training. The fund is supported by $2.00 from each convention registration and earned interest on the principle. The amount of the scholarship(s) granted to applicants will depend on the amount of funds available, the number of applicants, and the need(s) of the applicants. Congratulations to Kati Searcy, Fulton County Schools for being selected as the recipient of the Margaret O. Bynum Scholarship. Kati will use the scholarship to attend the 2017 National Association for Gifted Children Convention (NAGC) in November. 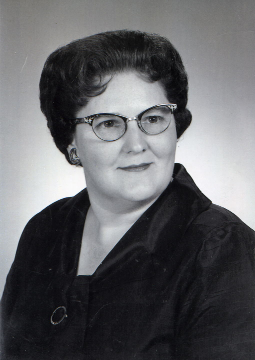 Margaret O. Bynum was Georgia’s first full-time consultant for gifted education - the first such position in any state. During her 24 year tenure, giftededucation in Georgia grew from a scant four units to programs throughout the state. She was instrumental in developing the Governor’s Honors Program (GHP) now in its sixth decade. She facilitated the implementation of education courses for the gifted in Georgia’s universities. Her influence extended beyond Georgia’s borders. President of TAG, gifted consultant to other states, member of editorial boards of various national journals such as Highlights, Margaret was recognized as an important force in the field of gifted education in America. In 2007, Margaret was posthumously inducted into the Georgia Women of Achievement, (www.georgiawomen.org/) an organization that recognizes and honors Georgia women who made extraordinary contributions within their fields of endeavor, and who will inspire future generations to utilize their own talents. Sadly, Margaret died in 1982 after a short illness at the age of 61. GAGC's Bynum Award and this Margaret Bynum Scholarship are ways of honoring and remembering this incredible individual! courses for the gifted in Georgia’s universities. consultant to other states, member of editorial boards of various national journals such as Highlights, Margaret was recognized as an important force in the field of gifted education in America.